“Want a hand with the bags?” Maggie Blake (Michelle Pfeiffer) asks hubby Fred (Robert De Niro) as he heads out to unload the car after arriving at their new home with their two teenage kids. No, says Fred, he’s got it covered. The bag Fred’s about to cover—with dirt, in his new backyard—is no suitcase. It’s a plastic tarp with a dead body wrapped inside. And the family in The Family is no ordinary family. The “Blakes,” the alias they’re using on this move to a villa in Normandy in the north of France, are a mob family on the run. “Fred,” a former Brooklyn Mafioso whose real name is Giovanni Manzoni, ratted out all his old associates. 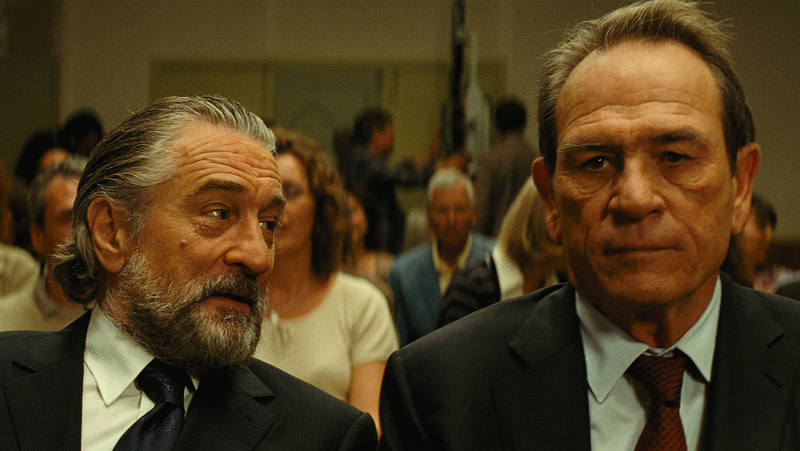 Now under federal witness protection supervised by a grumpy senior agent (Tommy Lee Jones) trying to keep him alive as the slow wheels of justice turn, he’s a wanted man in hiding with a $20 million underworld bounty on his head. A big problem, however, is that Manzoni and his family find it impossible to leave the old days, and the old ways, behind. Maggie sets off a homemade bomb in a local market when the French salesclerk and a couple of snooty customers gossip about her. The two teens, Belle (Dianna Agron, from TV’s Glee) and Warren (John D’Leo), don’t waste any time at their new high school seducing a teacher, beating fellow students to a pulp and setting up a flow of goods and services to make things run smoothly. And Giovanni…well, even though he insists he’s a “nice guy,” he still has a problem controlling his “sadistic urges.” Pity the poor plumber who wants to overcharge him for repair work, or the head of the local factory that Giovanni’s been told is responsible for funk-i-fying his drinking water. Don’t cross the family, or you might end up in the hospital—or worse. All of this makes The Family a strange mash-up of a vicious mob yarn squeezed into a foul-mouthed, movie-length sitcom. Every chuckle it gets is followed up (and swallowed up) by moments of gasp-worthy violence. 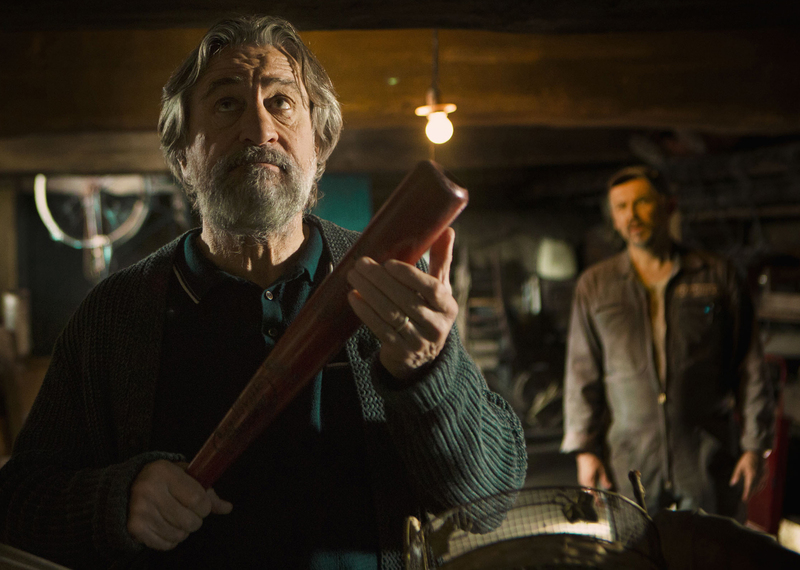 For De Niro, this kind of role has to pose a special kind of challenge: How do you play criminal goombahs without falling back into the very stereotypes that you so masterfully created, across the decades, in movies almost too numerous to mention, like The Godfather II, Goodfellas and Casino? Here he just seems to roll with the big inside joke, culminating in Giovanni getting invited to be a guest commentator for an American movie night in the villa, an event that turns out to have a loaded meta-connection to both the actor and his character. Pfeiffer, too, appears to be having fun, strolling down a movie-memory lane that often recalls her 1988 role in Married to the Mob, especially in a flashback to the family’s happier New York days. French director Luc Besson based the movie on a French book, Malavita, which translates literally to mean Badfellows. Martin Scorsese, one of the movie’s producers, directed De Niro in Raging Bull, Casino, and Taxi Driver and…yes, Goodfellas. A subplot involves Giovanni’s alias as a historian, telling his new neighbors he’s working on a book about the D-Day invasion of 1944. Then, the Americans were cheered in Normandy as liberators and heroes. This time around, after all the beatings, bashings, bullets and bloodshed dealt by the so-called Blakes, I suspect the folks in France would be more than happy to say au revoir to the The Family and set them sailing on a boat back home.